Step up your game with the Ultimate Productivity Bundle. We all could use some help optimising how we spend our time. Luckily, you can get advice from experts who have mastered the art of productivity. Learn valuable lessons to get more done with the Ultimate Productivity Bundle, on sale now for 97 per cent off the retail price. The Ultimate Productivity Bundle is packed with eight courses taught by some of the most successful people in the world, who are willing to share their tips and tricks with you. 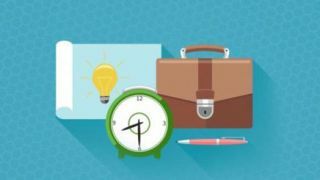 Spend nearly 30 hours learning the life hacks that will help you stay on task and get more work done, from maximising your time to picking up new skills that you can add to your resume. You can get the Ultimate Productivity Bundle on sale for 97 per cent off the retail price – now costing just $36 (approx £28). That's a huge saving for a course that will help you make the most of your time, so grab this deal today!